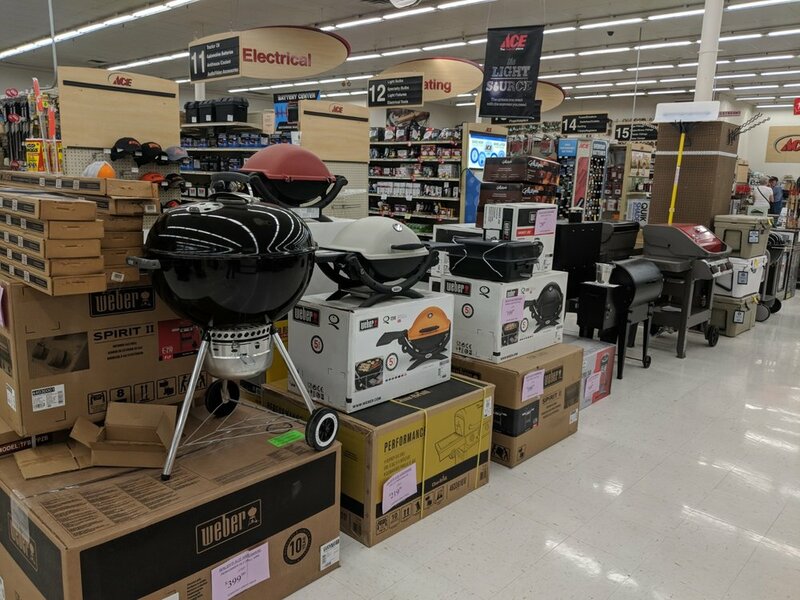 Walsh's Ace sells grills in many styles and sizes to suit your grilling needs. We have brands that we trust to be reliable and fun to use, along with a variety of tools, accessories, and supplies. We have a huge variety of grills: gas, charcoal, electric, smokers, and fryers. We sell mainly Weber and Traeger, but each of our stores also has a few other brands in stock. We know grilling is an art, and different people have different needs for their grill to meet. If you're serious about the taste of your grilled food, you may want to try a smoker and experiment with different flavors of wood pellets. If you like the traditional charcoal taste, we sell many different classic kettle grills. If you want to be impressed by what modern grilling technology has become, you may want to look into the latest and greatest Weber gas grills. Another factor to consider when buying a grill is the location your are going to be grilling in. Some of our grills are built to be fixtures in permanent outdoor kitchens, and others are portable and tailgating-ready. No matter which grill you buy, the food is going to be tasty! 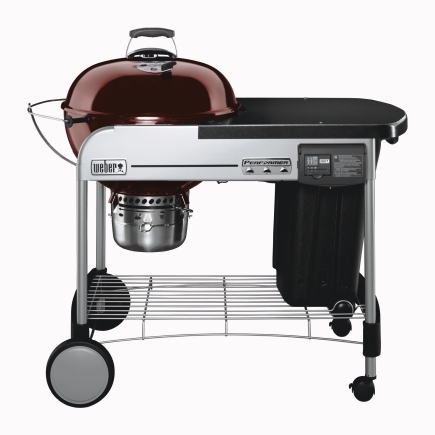 See the grills we have available at Acehardware.com. Does your grill run on charcoal, wood pellets, or propane? No matter what you need, we've got you covered. We sell charcoal in several brands and amounts, and we have different kinds of fire starters to suit your preference. For wood pellets, we sell different brands, including Traeger. If we don't have the flavor you're looking for, ask an associate if we can get it. We're always looking for new grilling products to try out. If you need a new LP tank, or you just need yours refilled or exchanged, we can help you. We sell everything from 16oz LP canisters to 100lb tanks. For information about LP refill and exchange services, call your local Walsh's Ace store. Half the fun of grilling is finding new gadgets to use. We have all kinds of grilling utensils, cookware, carts, and covers. We also sell BBQ sauces and seasonings.